Microsoft held an event today at Milk Studios in Hollywood CA, where it announced its new line of Microsoft Surface tablets, which it calls a ‘whole new family of computing devices’. There will be a Surface for Windows RT and one that runs Windows 8 Pro. 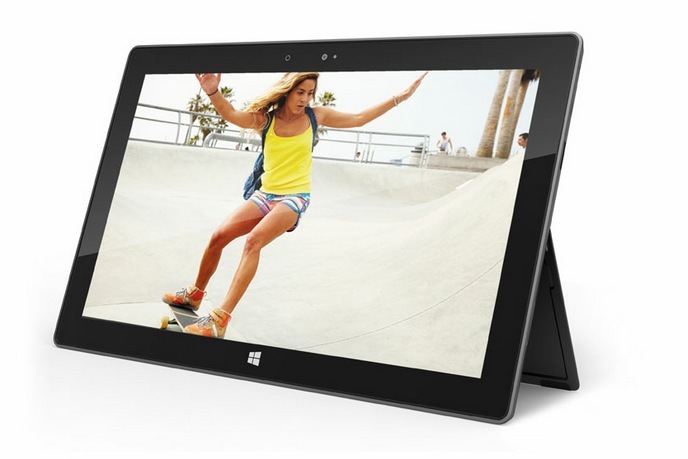 The tablet features a Gorilla Glass screen, and a kickstand. It was also shown off with a magnetic cover that appeared to be very similar to the Apple Smart Cover for iPad, but it features a full multitouch keyboard on the inner side. 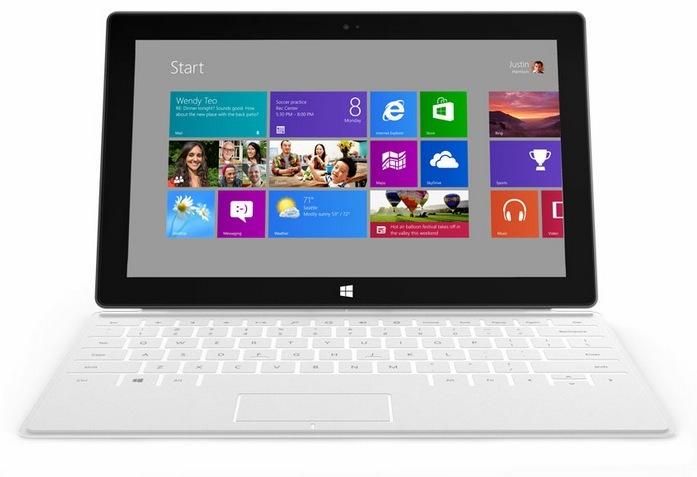 Mircosoft also showed off the Surface with Windows 8 Pro being used with a stylus, which it said felt like it was ‘right on the screen’. The pen magnetically attaches to the side of the tablet and allows for input on the screen while blocking touch events, helping to prevent accidental input. The ‘digital ink’ is sampled at 600 dpi. The tablet features a display port connector. 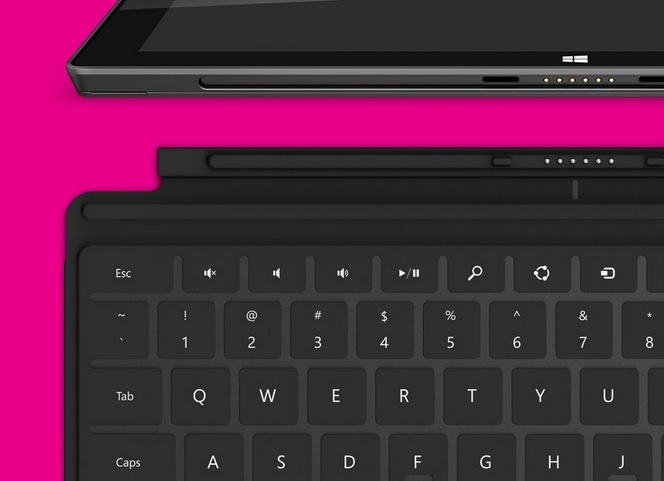 The RT version of Surface will be slightly lighter and feature less bells and whistles along with less storage. The Pro version is heavier and thicker and features a higher resolution screen along with more ports. Its maximum storage option is 128GB. “We’ve ushered in a new era of cloud computing and embraced mobility. We are attempting to transform entertainment, and Windows is the heart and soul of Microsoft,” said CEO Steve Ballmer at the event. He went on to call Windwos the ‘most flexible, general-purpose software ever created’. At the same time, said Ballmer, it was ‘always clear’ that Microsoft’s software vision was going to push hardware forward in ‘ways that even then makers of the hardware’ could not envision. “We control it all, we design it all and we manufacture it all ourselves,” he said in a video played during the event that was designed to establish Microsoft’s hardware prowess. The video showed off mice, keyboards, webcams and more that were made by Microsoft, including the Kinect. In a somewhat contradictory passage, Ballmer also emphasized the importance of partnerships to Microsoft. This is the essential issue with a tablet like this, as it could very well alienate some hardware partners that are looking to release their own tablets based on Windows 8. It also essentially precludes the ‘best’ Windows 8 tablets from being made anywhere but Microsoft, who has control over both the software and hardware. 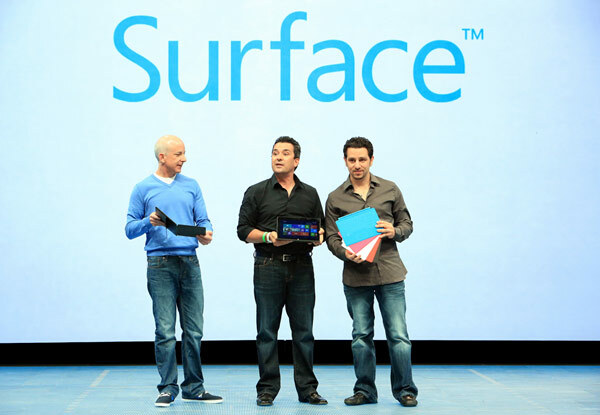 The event was teased heavily by Microsoft throughout the day by revealing the time and date of the event, but not its location. This made it difficult for the tech press to plan their travel, something that always endears people coming from all over the country to cover an event. There is another event being held by Microsoft later this week. It will be held in San Francsisco and involve the future of the Windows Phone lineup, perhaps an early build of Windows Phone 8.